A humpback whale mother and calf surprised surfers and onlookers Saturday when they caught a large set wave at the Banzai Pipeline and rode the swell long enough for J.T. Gray to capture the moment. While it’s common for dolphins to ride waves, this is extremely rare behavior for a large whale species. The rare image was posted on Ocean Defender–Hawaii's Facebook page on Monday. As of Tuesday morning it had been shared more than 4,000 times. Gray gave permission for its use for this story. He said the whales were a mother and calf, and it’s possible that they were just playing, but it’s also possible that the mother was keeping tabs on her stray calf. 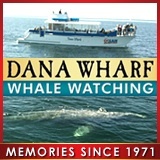 Said Ocean Defender’s Oriana Kalama: “Yes, it’s the first time anyone has seen a humpback surf or get that close to the waves, but they do get really close to shores. “Humpbacks sing, breach and if you ask me they dance too. If you ever have the chance to see them underwater, you would see how much they seem to enjoy to move their pectoral fins and in a way flirt with each other when in groups.